B & L Glass Company recently began wrapping up work on the newly remodeled and expanded Healdsburg City Hall this spring. In a combined effort between our team at B & L Glass Company and Carr’s Construction Service, Inc (the project’s general contractor) we installed new leading edge windows, doors, and hardware throughout the remodel and new construction portion of the project. In 2014 the Healdsburg City Council put into motion a plan to upgrade city facilities, specifically, the Healdsburg City Hall. Having long outgrown the existing facility built in the 1990’s, which had become inefficient and too expensive to operate, city employees would all be housed in the same location in the planned remodeled and expanded city hall. After several council meetings, design revisions, and public sessions in December 2016, the construction contract for the new city hall was awarded to Carr’s Construction Service, Inc. The project consisted of renovating the existing city hall to capitalize on underutilized space, adding a second story addition, and many other interior/exterior repairs and improvements. B & L Glass Company installed exterior Arcadia windows throughout the remodel and a two-story Arcadia storefront for the newly constructed main entrance which creates an open and naturally lit space. All other exterior glass was Viracon VL Solarban 70XL Low-E dual insulated glass. These windows are truly intended for modern construction. Windows made with Solarban 70XL glass give today’s homeowners and businesses the ultimate solar control glass on the market. They are the industry’s first triple silver Low-E coated windows, the most advanced Low-E coating available (Low-E coating is a thin film that reflects heat and UV light transfer). The Solarban 70XL windows block nearly 75% of heat energy from the sun while still allowing more than 60% of sunlight to pass through. These windows will result in a winning combination that will cut costs for summer cooling, reduce energy expenses related to interior lighting, and simultaneously protect furniture, fabrics, and carpets from fading caused by UV light. We also supplied and installed interior doors and sidelites using Glasfab ½” clear tempered glass with specialized fittings and hardware by Bohle. Glasfab Tempering Services is known for advanced dual-seal insulating glass units and Bohle produces specialty glass hardware for all-glass systems. All in all the project moved along smoothly without anything really out of the ordinary (which is great news for construction and installation servicers). The collaboration between B & L Glass Company and Carr’s Construction Service, Inc certainly produced fantastic results. Utilizing our vast knowledge and expertise combined with extraordinary time and project management, B & L Glass Company has another job well done for the books. 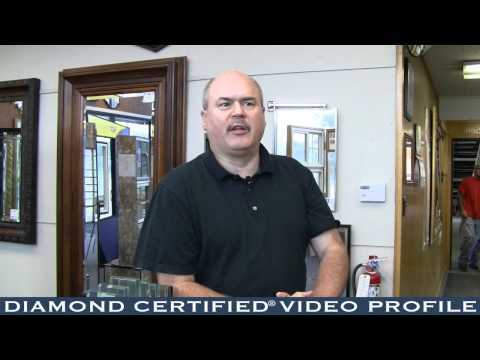 Finding a quality glass company is as important as the windows and doors themselves. If you have a new construction or renovation project on your horizon, call or contact us online today to learn what our experience and skill can do for your next glass project.